Your personal information is collected and shared everywhere— when you go online, use a debit card, or text a friend. It's becoming more and more difficult to keep your information safe and out of the criminals' hands. Using top ID protection technology, your credit union and Sherpa will equip you with the tools and guidance to protect your personal information. If a breach should occur, Sherpa's proactive monitoring identifies it quickly. 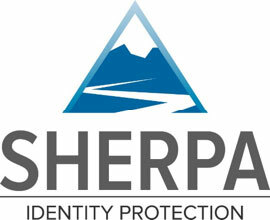 Sherpa has the experts you need to navigate the path to identity and credit restoration should you ever need it. From your credit union's home page, simply select the Sherpa banner ad and you'll be connected to the Sherpa Identity Protection website. Select a service level, enter payment information and personal data, and you're done. It's that easy! Sherpa continuously monitors and alerts you if your personal data is compromised. You'll have access to Sherpa telephone customer service and immediate access to all reports included in the level of protection you selected.